Lil' Kim, who emerged as a favorite in many circles to win the latest edition of ABC's "Dancing with the Stars," was voted off Tuesday night in what's being called a shocker by critics who follow the show. 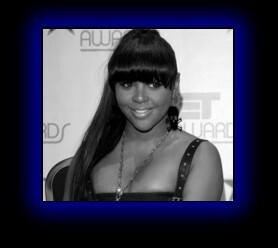 The 411 Online must confess that although we have benefited from many Lil' Kim clicks (she is by far the most popular and most searched for artist on this site), we did not return the favor by watching the show, much less call in and vote for her. Sorry, Kim. You still made the most of your "one more chance" in the spotlight. Chances are you'll get more publicity for an early exit than a win. The 411 has covered hip-hop in print and online since 1994.